My Association | My Club connect association event planners with a tailored program to maximise the value of their attendance. The Asia-Pacific Incentives & Meetings Expo (AIME), 21 – 22 February 2017, is launching a new program titled My Association | My Club to connect association event planners with a tailored program to maximise the value of their attendance at the largest gathering of business event professionals in the Asia-Pacific region. My Association | My Club will offer association event planners a hosted program at AIME 2017 for the first time in AIME’s 25 year history. Benefits for the hand-picked planners include a flexible schedule to enable them to explore the show floor; a range of hosting options including complimentary flights, accommodation and transfers; a personalised diary of pre-scheduled appointments with national and international exhibitors; exclusive association networking events; a comprehensive program of educational sessions; access to the dedicated Hosted Buyers lounge and much more. Ian Wainwright, Event Director – AIME, Reed Travel Exhibitions launched the program at the Association of Australian Convention Bureaux national conference on 9 September 2016. 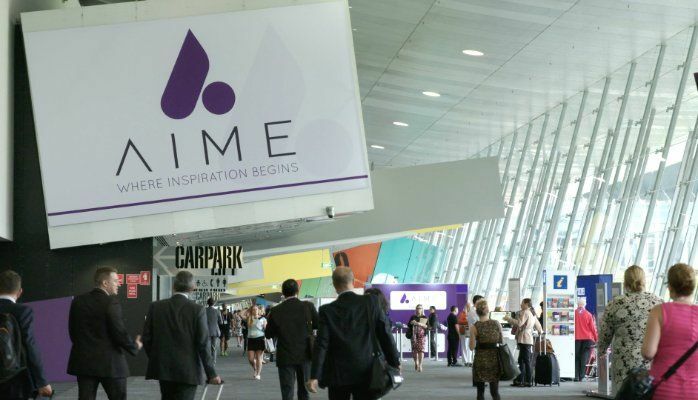 “By tailoring a program to meet the specific needs of association event buyers we are looking to grow this important segments attendance at AIME 2017, giving both the buyers and exhibitors new opportunities. My Association | My Club emphasises flexibility and convenience whilst creating a sense of community and facilitating peer networking. “When every minute counts and has to be justified by our buyers, this initiative gives them so many more options, they just have to choose what is best for their schedule. “Attendance of association buyers at our sister event, ibtm world in Barcelona, has grown 20% year on year since the initiative’s introduction in 2014. We expect significant numbers of association buyers to take up this stronger and more flexible offering for AIME 2017,” said Mr Wainwright. Association event buyers will have the opportunity to meet with a range of diverse exhibitors on the show floor of AIME 2017 including airlines and cruise line, attractions and entertainment, conference and meeting venues, event support services, hotels, resorts and spas, incentive destination, technology providers, national tourism organisations, travel management companies and convention and visitors bureaux.